An in-depth report on the causes, diagnosis, treatment, and prevention of Hodgkin disease. Lymphoma is a cancer of the lymphatic system. Hodgkin disease (HD) and non-Hodgkin lymphoma are the two types of lymphomas. HD also called Hodgkin lymphoma is distinguished by the presence of large abnormal cells, called Reed-Sternberg cells. The disease is less common than non-Hodgkin lymphoma. is comprised of 4 subtypes (nodular sclerosis, mixed cellularity, lymphocyte depleted, and lymphocyte rich). affects about 5% of people with HD. HD is considered one of the most curable forms of cancer, especially if it is diagnosed and treated early. Five-year survival rates for people diagnosed with stage I or stage II HD are 85% to 90%. Many people with late-stage HD also have good odds for survival. HD occurs most often in people ages 15 to 40 (especially in their 20s), and in people over age 55. About 10% to 15% of HD cases are diagnosed in children and teenagers. It is slightly more common in males than in females. Certain types of viral infections may increase the risk for HD. Infectious mononucleosis, which is caused by the Epstein-Barr virus, is associated with increased risk as is infection with the human immunodeficiency virus (HIV). Chemotherapy and radiation are the main treatments for HD. People who have relapsed may be treated with autologous stem cell transplantation, a procedure which uses the person's own blood cells. Practice good hygiene, including regular hand washing and dental care (brushing, flossing). Avoid crowds (especially during cold and flu season) and contact with people who are sick or who may be sick. Hodgkin disease (HD) is a type of lymphoma. Lymphomas are cancers of the lymphatic system. They are generally subdivided into two groups: HD and non-Hodgkin lymphoma (NHL). HD is also called Hodgkin lymphoma. The lymphatic system filters fluid from around cells. It is an important part of the immune system. When people talk about swollen glands in the neck, they are usually referring to enlarged lymph nodes. Common areas where lymph nodes can be easily felt, especially if enlarged, are: the groin (femoral or inguinal), armpits (axillary), above the clavicle (supraclavicular), in the neck (cervical), and the back of the head just above hairline (occipital). cells. Reed-Sternberg cells are derived from B cell lymphocytes (white blood cells). Reed-Sternberg cells are specific to HD. They are not found in non-Hodgkin lymphoma. HD often starts in B cell lymphocytes located in lymph nodes in the neck area, although any lymph node may be the site of initial disease. Nodular sclerosis is the most common subtype, representing 60% to 80% HD cases. Younger people are more likely to have this type. The nodes first affected are often those located in the center of the chest (the mediastinum) or the neck. Mixed cellularity is the next most common HD form. It accounts for about 15% to 30% of all HD cases. It occurs mostly in older adults. Mixed cellularity refers to the presence of Reed-Sternberg cells and other cell types. The lymphocyte-rich subtype accounts for about 2% to 7% of all HD cases. It tends to affect men more than women. The lymphocyte-depleted subtype is the least common type of HD, occurring in only about 1% to 6% of cases. It is usually seen in older people and people infected with HIV. It is also more common in developing countries. The cancer tends to be diagnosed when it is widespread, affecting the spleen, bone marrow, and liver as well as abdominal lymph nodes. Nodular lymphocyte-predominant HD occurs in about 3% to 8% of cases. It is distinct from classical Hodgkin lymphoma. The cells look alike and are referred to as "popcorn" cells, which are variants of Reed-Sternberg cells. This type of HD typically affects younger people and usually originates in the neck lymph nodes. It is sometimes confused with non-Hodgkin lymphoma (NHL). In fact, there is a 3% to 5% risk that nodular lymphocyte-predominant HD can transform into diffuse large B-cell NHL. 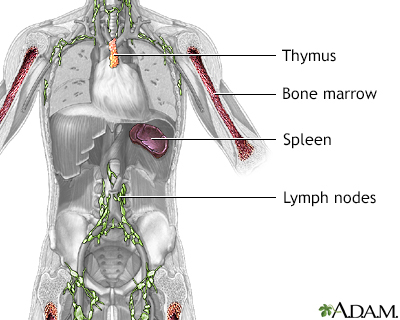 Lymphomas are tumors of the lymphatic system. This system is a network of organs, ducts, and nodes. 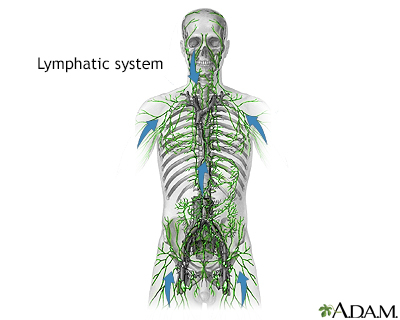 The lymphatic system transports a watery clear fluid called lymph throughout the body. The lymphatic system contains lymphocytes, which are important cells involved in defending the body against infections. Lymphocytes develop either in the bone marrow (called B cells or bone marrow-derived cells) or in the thymus gland (called T cells or thymus gland-derived cells). Both lymphocytic leukemia and lymphomas (HD and non-Hodgkin lymphomas) are cancers of lymphocytes. The difference is that leukemia starts in the bone marrow while lymphomas originate in lymph nodes and then spread to the bone marrow or other organs. Lymphatic vessels begin as tiny tubes. These tubes collect and carry fluids that leak from body tissues, lymphocytes, proteins, and other substances from various body tissues. The tubes lead to larger lymphatic ducts and branches, which drain into two ducts in the neck, where the fluid re-enters the bloodstream. The normal size of a lymph node varies from that of a pinhead to a bean. Most nodes are clustered throughout the body. Node clusters are found in the neck, lower arm, armpit, and groin, as well throughout the inside of the body. In a lymph node, lymphocytes are the first to be exposed to foreign substances, such as bacteria. 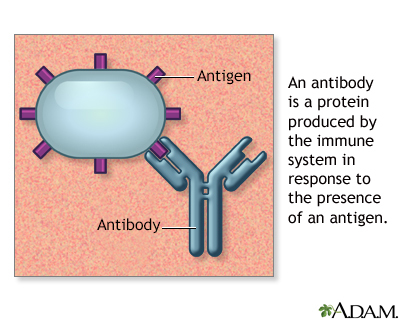 This exposure prompts the lymphocytes to produce antibodies, which target and attack these foreign proteins (antigens). More lymphocytes may also be made in the lymph node and added to the contents of the lymph fluid. Lymphocytes from elsewhere in the body may also be filtered out of the lymph fluid into the lymph node. 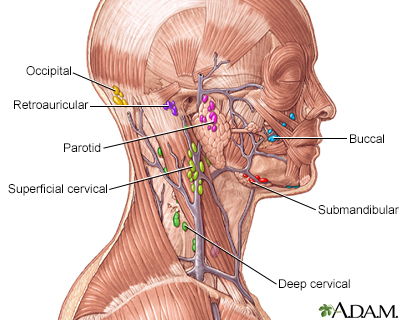 The tonsils and adenoids are secondary lymphatic organs. They are composed of masses of lymph tissue that also play a role in the lymphatic system. The spleen is another important organ that processes lymphocytes from incoming blood. If it spreads below the diaphragm, it usually reaches the spleen first; the disease may then spread to the liver and bone marrow. If the disease starts in the nodes in the middle of the chest, it may spread outward toward the chest wall and areas around the heart and lungs. HD is less common than non-Hodgkin lymphoma. It accounts for about 10% of all lymphomas. According to the American Cancer Society, about 9,000 new cases of HD are diagnosed in the United States each year. According to a 2012 World Health Organization report, Hodgkin lymphoma accounts for about 0.5% of all new cancers diagnosed yearly worldwide, excluding non-melanoma skin cancer. The exact causes of HD are unknown. Research indicates that the malignant process leading to HD may be triggered by a combination of environmental and genetic factors along with a susceptible immune system. HD occurs most often in people ages 15 to 40 (especially in their 20s), and in people over age 55. About 10% to 15% of HD cases are diagnosed in children and teenagers. HD is slightly more common among males than females. Women who get HD may have a slightly lower risk for relapse after treatment than men. Infectious mononucleosis ("mono"), which is caused by the Epstein-Barr virus (EBV), is linked with increased risk for HD. In a subset of HD cases, EBV genetic material is found within tumor Reed-Sternberg cells. EBV is present in 90% of all people and, in the great majority of these cases, the virus causes a mild case of mononucleosis or no illness at all. Only a very small percentage of people who have had mononucleosis develop HD. Other factors must be present to trigger the malignancy. People infected with the human immunodeficiency virus (HIV), which weakens the immune system, are also at increased risk of developing HD. A family history of Hodgkin lymphoma is associated with a slightly higher risk for this disease. First-degree relatives of people with HD have a 3 times higher risk than the general population. The risk is almost 100 times higher for an identical twin of a person with HD. The last three symptoms (weight loss, fever, and night sweats) are classified as "B symptoms." B symptoms are used in staging HD and can indicate that more aggressive treatment will be required. Sometimes people with HD do not experience any symptoms, or symptoms may not appear until the cancer is very advanced. Enlarged lymph nodes can also be caused by many noncancerous conditions, such as infections. The health care provider will take a medical history and perform a physical examination. If these procedures indicate HD, a number of additional tests may be needed to either rule out other diseases or confirm HD and determine the extent of the cancer. The provider will examine not only the affected lymph nodes but also the surrounding tissues and other lymph node areas for signs of infection, skin injuries, or tumors. The consistency of the node is evaluated. For example, a stony, hard node is often a sign of cancer, usually one that has metastasized (spread to another part of the body). A firm, rubbery node may indicate lymphoma (including Hodgkin). Soft tender nodes suggest infection or inflammatory conditions. Blood tests are performed to measure white and red blood cells, blood protein levels, the uric acid level, blood proteins, and the liver's function. A chest x-ray may show lymph nodes in the chest, where HD usually starts. It is a useful step for detecting enlarged lymph nodes. CT scans are much more accurate than x-rays. They can detect abnormalities in the chest and neck area, as well as revealing the extent of the cancer and whether it has spread. CT scans are used to evaluate symptoms and help diagnose lymphomas, help with staging of the disease, and monitor response to treatment. 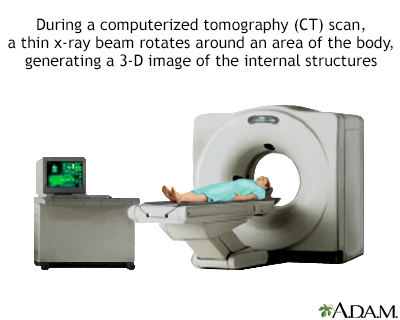 A CT scan is also often used to detect lymphomas in the abdominal and pelvic areas, the brain, and chest area. PET scans combined with CT scans can help in clarifying the location of the cancer. PET scans can also provide information on whether or not an enlarged lymph node is benign or cancerous and can be used for staging lymphomas. PET scans may also help determine treatment response, if any residual cancer exists, and if a person has achieved remission. A biopsy of the suspicious lymph node is the definitive way to diagnose HD. The lymph node sample will be examined by a pathologist for the presence of Reed-Sternberg cells or other abnormal features. The type of biopsy performed depends in part on the location and accessibility of the lymph node. The surgeon may remove the entire lymph node (excisional biopsy) or a small part of it (incisional biopsy). In some cases, fine needle aspiration is used to withdraw a small amount of tissue from the lymph node. Biopsies of bone marrow may also be performed in people with existing HD to see if the cancer has spread to the bone marrow. HD is considered one of the most curable forms of cancer, especially if it is diagnosed and treated early. Unlike other cancers, HD is even potentially curable in late stages. People diagnosed with stage I or stage II HD have a very high likelihood of complete and permanent remission. For people with more advanced or higher stage disease, prognosis worsens based on how many of the following clinical findings are present. Outlook tends to be poorer for people who do not respond to first-line therapy or who relapse within a year of treatment. People who survive 15 years after treatment are more likely to later die from other causes than from HD. The good news about HD is that treatment can cure the disease. The bad news is that survivors face a higher than average risk for long-term complications of these treatments, some very serious. Many people experience chronic fatigue that can sometimes last for years. The most serious complications are secondary cancers and heart disease, which may develop over the 20 to 30 years following treatments. Secondary cancers include non-Hodgkin lymphoma, leukemia, melanoma, stomach and lung cancers, and breast and uterine cancers. Heart disease complications include coronary artery disease, stroke, heart valve problems, and cardiomyopathy (weakening of the heart muscle). 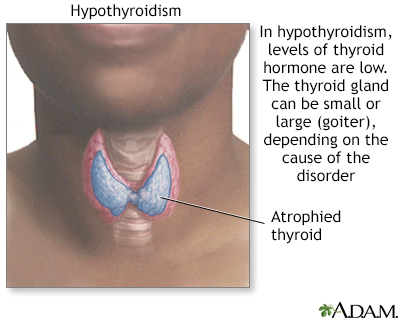 Thyroid and other endocrine disorders are also a potential complication. Combinations of radiation and chemotherapies pose the highest risk for these problems. Studies of adult survivors of various childhood cancers have found that 30 years after treatment, people with cured HD are especially likely to have other serious health problems. Female survivors face a significantly greater risk than male survivors. In particular, women who received chest radiation are at very high risk for developing breast cancer. People with HD should get a written record of the treatments they received as children, and the potential risks for these treatments. These records can help the providers who later oversee their care monitor for potential health problems. Survivors of HD should receive regular screening tests for cancer and heart disease. They may need to get these tests at a younger age than most people. In particular, people who were treated with chest radiation should consider getting blood tests every 5 years to measure their cholesterol levels. Women who received chest radiation should be sure to get regular mammograms and breast magnetic resonance imaging (MRI). Certain factors may determine whether more intensive treatment is required. For example, the presence of B symptoms and "bulky" (large mass) tumors usually indicates a more aggressive treatment approach. Chemotherapy and radiation are the main treatments for HD. Stem cell transplantation or a biologic drug may be recommended for people whose cancer has recurred. HD is staged (I through IV) depending on how far the cancer has spread. Staging is the primary method for determining both treatment options and prognosis. Disease is limited to a single node region or has involved one neighboring area or a single nearby organ. Disease is limited to two or more lymph nodes on the same side of (above or below) the diaphragm or extends locally from the lymph node into a nearby organ. Disease is in lymph nodes on both sides of the diaphragm or has spread to nearby organs, the spleen, or both. Disease has become widespread involving organs outside the lymph system, such as liver, lung, or bone marrow. HD in stages I or II may be treated with radiation therapy alone, a combination of chemotherapy and radiation therapy, or chemotherapy alone. HD in stages III and IV is usually treated with chemotherapy alone. Radiation therapy, when recommended, is generally used due to large tumor masses (> 10 cm). Treatments for refractory or relapsed Hodgkin include high dose chemotherapy with stem cell transplantation. People who are not good candidates for transplantation or who have not been helped by it may benefit from treatment with the biologic drug brentuximab (Adcetris). Both the disease and some of the treatments suppress the immune system, increasing the risk for infections. Widespread, life-threatening infection is a particular danger if the spleen has been removed and both radiation and chemotherapy are administered. People with HD who have had a splenectomy should be vaccinated against pneumococcus, meningococcus, and Haemophilus influenza bacteria before receiving treatment. If you may wish to have children in the future, you should ask your cancer team about fertility-preserving treatments. It is very important to have these discussions before cancer treatment starts. The American Society for Clinical Oncology (ASCO) has guidelines for the best fertility preservation methods for males and females with cancer. For men, ASCO recommends banking and freezing sperm (sperm cryopreservation) for later use in assisted reproductive therapies. For women, egg (oocyte) cryopreservation is recommended. This procedure involves harvesting and freezing a woman's eggs (oocytes), and can be followed by in vitro fertilization and freezing of embryos for later use. It requires several weeks of pre-treatment with ovarian stimulation drugs, so timing is very important. For women who will receive radiation therapy to the pelvic region, a surgical procedure that moves the ovaries out of the path of radiation (ovarian transposition) can also help preserve fertility. Relapse of HD is not uncommon, even after treatment for early stages. It can occur a decade or more after treatment. Relapse can occur in early-stage disease, probably because the limited radiation normally used in such cases does not destroy the disease outside of the area irradiated. People who had large tumors in the chest are also at higher risk for recurrence. Periodic examinations and imaging tests are necessary for years after treatment, both to check for signs of relapse as well as to monitor the long-term effects of treatments. Because HD often occurs in younger adults, diagnosis during pregnancy is of particular concern. Therapy must be effective enough to protect the mother without hurting the fetus. Chemotherapy is rarely used early in the term, because it poses a risk for birth defects. Treatment choice must be individualized, taking into consideration the mother's wishes, the severity and pace of the disease, and the remaining length of the pregnancy. The treatment plan may need to be changed as the pregnancy progresses. If the disease develops in the second half of the pregnancy, it may be possible to postpone chemotherapy or radiation therapy until after an early induced delivery. Chemotherapy is often the first treatment for all stages of HD. Chemotherapy uses drugs to kill cancer cells. The drugs are called cytotoxic (toxic to cells) medications. Chemotherapy is considered a systemic therapy because the drugs affect cells throughout the body. Chemotherapy drugs may be taken by mouth as pills or given by injection or infusion. Treatment may be administered at a medical center, outpatient infusion center, medical office, or even at home. Some people receiving chemotherapy may need to remain in the hospital for several days so the effects of the drugs can be monitored. People typically receive 2 to 6 cycles of chemotherapy, depending on the stage. A cycle is usually several weeks and consists of several doses of drug administration followed by a period of rest. Several chemotherapy regimens are used for treating HD. Standard regimens include ABVD, Stanford V, and BEACOPP. Brentuximab works by targeting CD-30, a protein found on Hodgkin cancer cells. The drug is given by intravenous infusion. The most common side effects are neutropenia, peripheral sensory neuropathy, fatigue, nausea, and anemia. A more serious but rare side effect is the brain disorder progressive multifocal leukoencephalopathy (PML). Pembrolizumab has been approved for both pediatric and adult patients. Previously this drug was approved for unresectable or metastatic melanoma. Side effects and complications of any chemotherapeutic regimen are common, more severe with higher doses, and increase over the course of treatment. Neutropenia is a severe drop in the number of white blood cells produced in the bone marrow. Neutropenia increases the chance for infection and is a potentially life-threatening condition. Drugs called granulocyte colony stimulating factor (G-CSF) are used to help boost white blood cell count. These drugs, which include filgrastim (Neupogen) and pegfilgrastim (Neulasta) can help lessen the risk for neutropenia occurrence and, if neutropenia does occur, to reduce its duration and severity. Anemia is a reduced number of red blood cells. Erythropoietin stimulates red blood cell (hemoglobin) production and can help reduce or prevent this side effect. It is available as epoetin alfa (Epogen, Procrit) and darbepoetin alfa (Aranesp). In people with cancer, these drugs should be used to only treat anemia with hemoglobin levels of less than 10 g/dL. Treatment should stop as soon as chemotherapy is complete. These drugs may not be safe or appropriate for all people. Peripheral sensory neuropathy is damage to the peripheral nerves that carry signals to and from the spinal cord to the rest of the body. Symptoms can include tingling, burning, and loss of sensation in the legs and arms. Peripheral neuropathy can also cause problems to muscles, the digestive system, and body organs including the heart. Fatigue and general aches and pains. Fatigue is especially common after chemotherapy and can last for weeks or months. Many women stop menstruating after chemotherapy. The risk for premature menopause and infertility is higher for women with advanced-stage HD who are treated after age 30. Bone thinning (osteoporosis) may occur with steroid treatments such as prednisone. Decrease in heart function may occur with the use of anthracycline drugs (such as doxorubicin). Bleomycin (Blenoxane) is associated with lung effects, resulting in fibrosis. Vinblastine may cause chronic decreased sensation in the hands or feet. Certain types of chemotherapy drugs may increase the long-term risk for developing acute leukemia and myelodysplastic syndrome (MDS). Radiation used in combination with chemotherapy may increase the risk for leukemia. Radiation therapy, which shrinks tumors, used to be the main treatment for HD. Today, radiation therapy is mainly used to treat early stage (I or II) HD and is usually given following chemotherapy. The preferred method of radiation therapy for treating HD. It targets only the lymph node regions that are known to have cancer, not the adjacent, uninvolved lymph node regions. 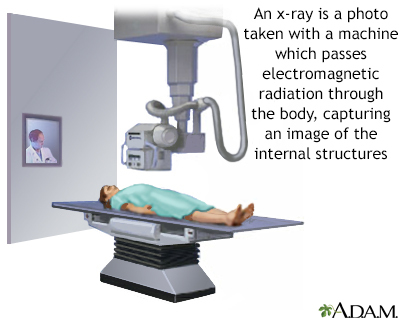 Involved-site radiation is usually given after several rounds of chemotherapy.
. You lie on a table while a machine delivers high-energy x-rays to specific targets on your body. Extended field radiation, an older approach that targeted both the diseased lymph nodes as well as surrounding healthy lymph nodes, is no longer used. Providers are working on refining radiation therapies for HD so that they more precisely target the affected lymph nodes and deliver the lowest possible effective dose of radiation. The aim is to destroy the cancerous cells while minimizing the damage to healthy cells and causing fewer side effects. Newer radiation techniques for HD include involved node radiation therapy, involved site radiation therapy, intensity modulated radiation therapy, and proton therapy. Fatigue, nausea, diarrhea, dry mouth, skin irritation, and increased risk for infections are common short-term side effects of radiation therapy. These side effects generally go away after treatment is completed. Chest radiation can lead to lung damage and difficulty breathing. Lung cancer risk may be increased, especially for people who are current or former smokers. Chest radiation may also increase the long-term risk for heart disease and heart attack. Breast cancer is a serious concern for women with Hodgkin who received chest radiation therapy before the age of 35. It is important for these women to begin having mammograms (and breast MRI) at a younger age than usual and to continue regular mammogram screenings. Neck radiation can increase the later risk for underactive thyroid (hypothyroidism) and for thyroid cancer. Radiation to the head and neck may also increase the risk for stroke. Some research suggests that adults who survived childhood HD have a 4 times higher risk of having a stroke than healthy people. Radiation to the pelvic area may increase the risk for infertility, particularly for women. For girls and young women, provider may recommend surgically moving the ovaries away from the path of the radiation, a procedure called ovarian transposition. Relapsed or resistant HD is sometimes treated with high-dose chemotherapy followed by stem cell transplantation. This approach allows a person to receive higher doses of chemotherapy than could normally be used. Transplantation involves removal and replacement of stem cells, which are produced in the bone marrow. Stem cells are the early forms for all blood cells in the body (including red, white, and immune cells). Intensive cancer treatments harm stem cells as well as cancer cells, and so the healthy stem cells must be replaced by transplanting them. transplant, using cells from a donor, is more risky for people with HD and is generally used only when an autologous transplant has failed. Allogeneic transplants are sometimes used as treatments for non-Hodgkin lymphoma. They have a greater risk than autologous transplants for complications such as graft-versus-host disease. Click the icon to see an illustrated series detailing bone marrow transplant surgery. Stem cells are collected several weeks before the procedure. They are frozen and stored while the person undergoes high-dose chemotherapy. Some people receive high-dose whole body radiation therapy along with chemotherapy. After pre-transplant therapy is completed, the frozen cells are thawed and then infused into the person, similar to a blood transfusion through a central line catheter. The infusion process takes several hours. Within a few weeks, these cells start to generate new white blood cells and then new red blood cells. The risk for infection is greatest during the first 6 weeks following the transplant. During this period, the person is closely monitored in or out of the hospital for a few months. It takes 6 to 12 months post-transplant for a person's immune system to fully recover. Many people develop severe herpes zoster virus infections (shingles) or have a recurrence of herpes simplex virus infections (cold sores and genital herpes). Pneumonia, cytomegalovirus, aspergillus (a type of fungus), and Pneumocystis jiroveci (a fungus) are among the most serious life-threatening infections. Discuss with your provider what vaccinations you need and when you should get them. Avoid crowds, especially during cold and flu season. Be diligent about hand washing, and make sure that visitors wash their hands. Alcohol-based hand rubs are best. In the first few months after the transplant, be sure to eat protein-rich foods to help restore muscle mass and repair cell damage caused by chemotherapy and radiation. Dental hygiene is very important, including daily brushing and flossing. Schedule regular visits with your dentist. Do not sleep with pets. Avoid contact with pets' excrement. Avoid fresh flowers and plants as they may carry mold. Do not garden. Swimming may increase exposure to infection. If you swim, do not submerge your face in water. Do not use hot tubs. Report to your provider any symptoms of fever, chills, cough, difficulty breathing, rash or changes in skin, and severe diarrhea or vomiting. Fever is one of the first signs of infection. Report to your ophthalmologist any signs of eye discharge or changes in vision. People who undergo radiation or who are on long-term steroid therapy have an increased risk for cataracts. Early side effects of transplantation are similar to chemotherapy and include nausea, vomiting, fatigue, mouth sores, and loss of appetite. 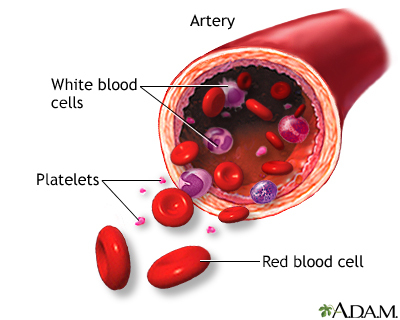 Bleeding because of reduced platelets is a high risk during the first 4 weeks and may require transfusions. Later side effects may include fertility problems (if the ovaries are affected), thyroid gland problems (which can affect metabolism), lung damage (which can cause breathing problems), other organ damage, and bone damage. In younger people, there is a small long-term risk for leukemia after transplantation. Chemotherapy itself increases the risk for secondary cancers. Studies suggest that transplantation after chemotherapy does not add any additional risks. American Cancer Society website. What are the key statistics about Hodgkin lymphoma? www.cancer.org/cancer/hodgkin-lymphoma/about/key-statistics.html. Updated March 28, 2017. Accessed June 8, 2017. Ansell SM. Hodgkin lymphoma: diagnosis and treatment. Mayo Clin Proc. 2015;90(11):1574-1583. PMID: 26541251 www.ncbi.nlm.nih.gov/pubmed/26541251. Bartlett NL, Foyil KV. Hodgkin lymphoma. In: Niederhuber JE, Armitage JO, Doroshow JH, Kastan MB, Tepper JE, eds. Abeloff's Clinical Oncology. 5th ed. Philadelphia, PA: Elsevier Saunders; 2014:chap 105. Castellino SM, Geiger AM, Mertens AC, et al. Morbidity and mortality in long-term survivors of Hodgkin lymphoma: a report from the Childhood Cancer Survivor Study. Blood. 2011;117(6):1806-1816. PMID: 21037086 www.ncbi.nlm.nih.gov/pubmed/21037086. Castillo JJ, Lacasce AS. Hodgkin lymphoma. In: Ferri F, ed. Ferri's Clinical Advisor 2017. Philadelphia, PA: Elsevier; 2017:603-606. Connors JM. Hodgkin lymphoma. In: Goldman L, Schafer AI, eds. Goldman-Cecil Medicine. 25th ed. Philadelphia, PA: Elsevier Saunders; 2016:chap 186. Engert A, Plütschow A, Eich HT, et al. Reduced treatment intensity in patients with early-stage Hodgkin's lymphoma. N Engl J Med. 2010;363(7):640-652. PMID: 20818855 www.ncbi.nlm.nih.gov/pubmed/20818855. Hasenclever D, Diehl V. A prognostic score for advanced Hodgkin's disease. International prognostic factors project on advanced Hodgkin's disease. N Engl J Med. 1998;339(21):1506-1514. PMID: 9819449 www.ncbi.nlm.nih.gov/pubmed/9819449. Loren AW, Mangu PB, Beck LN, et al. Fertility preservation for patients with cancer: American Society of Clinical Oncology clinical practice guideline update. J Clin Oncol. 2013;31(19):2500-2510. PMID: 23715580 www.ncbi.nlm.nih.gov/pubmed/23715580. Moskowitz CH, Nademanee A, Masszi T, et al. Brentuximab vedotin as consolidation therapy after autologous stem-cell transplantation in patients with Hodgkin's lymphoma at risk of relapse or progression (AETHERA): a randomised, double-blind, placebo-controlled, phase 3 trial. Lancet. 2015;385(9980):1853-1862. PMID: 25796459 www.ncbi.nlm.nih.gov/pubmed/25796459. National Comprehensive Cancer Network. NCCN Clinical Practice Guidelines in Oncology: Hodgkin Lymphoma. www.nccn.org/professionals/physician_gls/pdf/hodgkins.pdf. Updated March 1, 2017. Accessed April 18, 2017. Ng AK, van Leeuwen FE. Hodgkin lymphoma: late effects of treatment and guidelines for surveillance. Semin Hematol. 2016;53(3):209-215. PMID: 27496313 www.ncbi.nlm.nih.gov/pubmed/27496313. Rancea M, Monsef I, von Tresckow B, Engert A, Skoetz N. High-dose chemotherapy followed by autologous stem cell transplantation for patients with relapsed/refractory Hodgkin lymphoma. Cochrane Database Syst Rev. 2013;(6):CD009411. PMID: 23784872 www.ncbi.nlm.nih.gov/pubmed/23784872. Townsend W, Linch D. Hodgkin's lymphoma in adults. Lancet. 2012;380(9844):836-847. PMID: 22835602 www.ncbi.nlm.nih.gov/pubmed/22835602. US Food & Drug Administration website. Nivolumab (Opdivo) for Hodgkin lymphoma. www.fda.gov/drugs/informationondrugs/approveddrugs/ucm501412.htm. Updated May 17, 2016. Accessed June 9, 2017. US Food & Drug Administration website. Pembrolizumab (KEYTRUDA) for classical Hodgkin lymphoma. www.fda.gov/drugs/informationondrugs/approveddrugs/ucm546893.htm. Updated March 15, 2017. Accessed June 9, 2017. World Health Organization. website International Agency for Research on Cancer. GLOBOCAN 2012: estimated cancer incidence, mortality and prevalence worldwide in 2012. globocan.iarc.fr. Accessed June 12, 2017. Reviewed By: Richard LoCicero, MD, private practice specializing in hematology and medical oncology, Longstreet Cancer Center, Gainesville, GA. Review provided by VeriMed Healthcare Network. Also reviewed by David Zieve, MD, MHA, Medical Director, Brenda Conaway, Editorial Director, and the A.D.A.M. Editorial team. Editorial update 02/22/18. Editorial update 06/18/2018.